Are we going to start with a cliché? Sure, why not. DON’T! Your curls are beautiful, you are beautiful, and you should stay beautiful. Don’t let society dictate how you should look, and what you should do. However, if you’re doing this because you want to experience a change, if you want to try out something new, then go for it. Still, this isn’t easy, and you should be well aware of that. 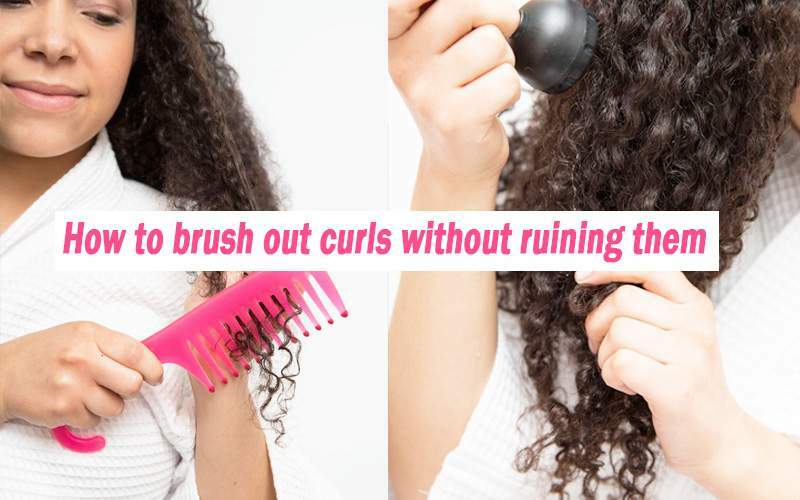 Bellow, we wrote up a couple of tips and tricks you should take into account if you want to get those curls nice and straight, without actually ruining your hair. Before you even begin, you should do a couple of things to properly prepare your luscious locks. Before you even try to iron it, you should wash your hair – don’t forget about the conditioner! This will make things a lot easier since it will be smoother and softer. 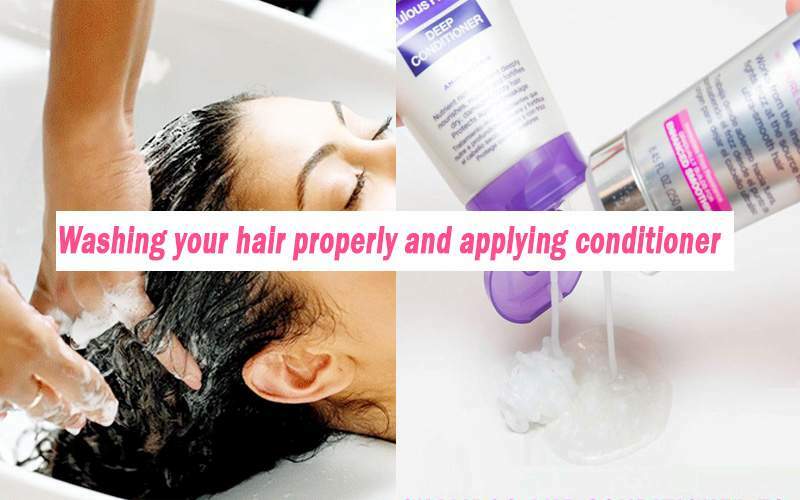 Getting smoothing shampoo and other products is a good idea as well. Now, remember to avoid actually applying any conditioner to your roots. You want to place it only on the ends and middle of your hair. Take up a comb (wide tooth is best) and run it through your hair so you can untangle it. Also, let the conditioner sit for a couple of minutes. Avoid using very hot or cold water. Cold is obviously uncomfortable and will mess with the conditioner. 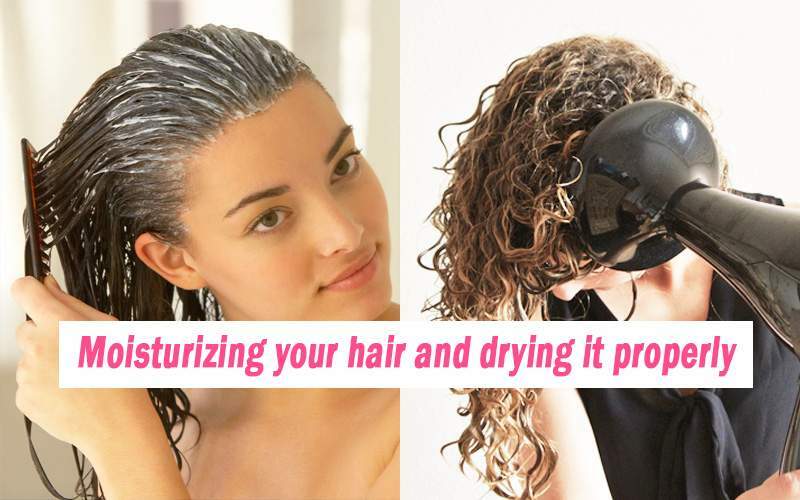 Very hot water will dry out your hair and will make it unnecessarily frizzy. However, when you’re done with everything, and when you washed out everything with lukewarm water, you can then rinse it out for a sec with cold water. This will make it shine and will flatten it out a bit. Get some leave-in conditioner and put it on. This will moisturize your hair, but will also give it some shine, and will strengthen it. This is important since it will minimize any damage done during the actual straightening process. Also, dry your hair with a microfiber cloth. You may think that a blow dryer is easier, and honestly, it is. However, this will reaaaaly dry out your hair and will make it that much easier to end up damaged. Also, squeeze your hair gently, don’t rub or scrunch it. This will just make it more frizzy and curly. Finally, comb it nice and straight. A wide tooth comb is your best bet. Using a brush may not be the best choice since a brush can damage your hair, snag it and tear it. Just get that comb, and slowly and gently comb your hair from root to end. After you’ve done all the prep work, you should finally get that blow dryer and a brush. Your hair is now dryer and has already been combed, so you can now safely use the brush and the dryer. First, you need to be sure that your hair isn’t completely wet – just damp. Get that blow dryer and put the heat and strength to the lowest setting. So this means the lowest possible because the excess heat will still damage it. 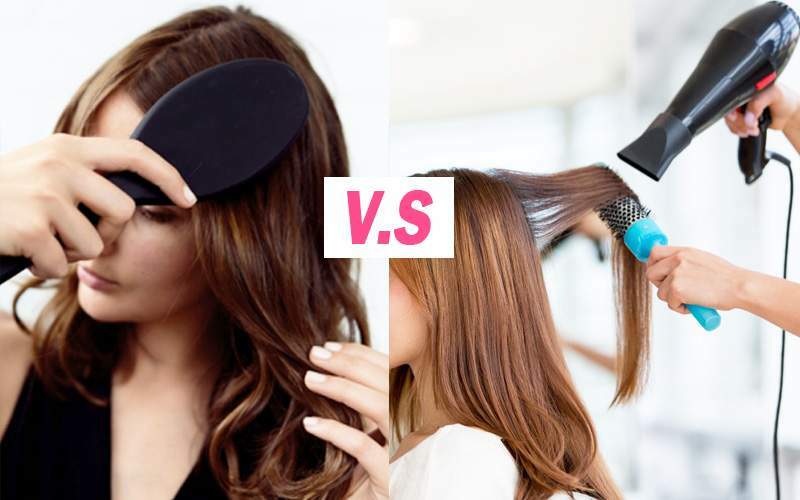 Now, gather your hair with the brush and direct your blow dryer towards your hair. Have around 6 or 7 inches of space between your hair and the dryer, just to not damage the hair any more than you need to. Quick tip – don’t point the dryer upwards, because this can cause your hair to curl up. Always point downwards. Also, if you have the option of having cool air go through your dryer, you should use it – this will make your hair shine more. There are a couple of flat iron types that people aren’t aware of. This is important because the type influences how difficult or easy it will be to actually flatten your hair. Remember that this hinges on the type of hair you have. Since we’re talking about curly hair here, you should go for titanium or gold plates. Get a straightener that’s is no thicker than an inch and a half. Anything bigger won’t really help you. Also get a good flat iron – plastic or plain metal don’t handle heat well and will be useless after a couple of uses. Now, in order to properly iron your hair, you need to get some hair and hold it nice and tight. Leave around one inch tight, the rest should be slack. Then simply run the whole thing through your hair, from roots to ends. Remember to always have that section really taught and straight – it will make everything faster and nicer. If you hear any sizzling, know that you didn’t dry your hair properly. 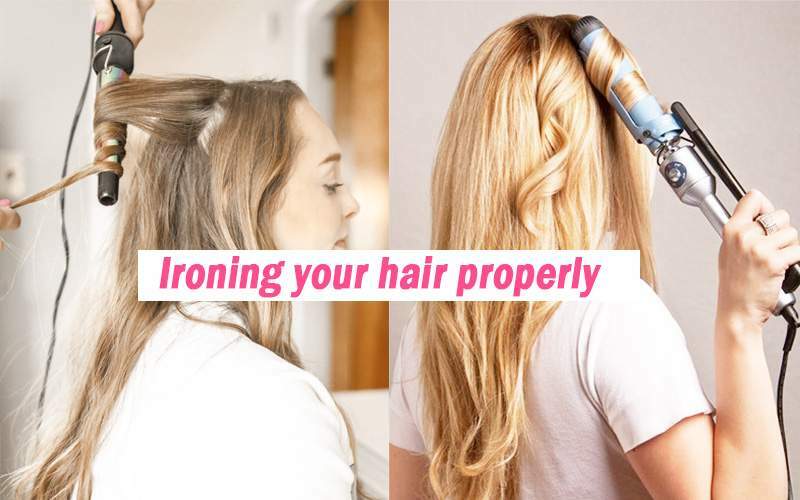 Also, never use the maximum heat setting on your iron – this won’t speed up the process, but it will damage your hair. After you’re finally done, you can add some finishing touches. Now is the time to add some shine, like placing some serum. This can help you get some frizziness under control and will make your hair extra silky as well. Getting some hairspray and applying to your roots (and roots only) can also keep it from curling up. If you want to keep it straight for as long as possible, you should use dry shampoo, or baby powder when your hair starts getting oily and greasy. This is because you should, at almost all costs, avoid having it get wet. You can also use a straightener to touch it up a bit if needed. 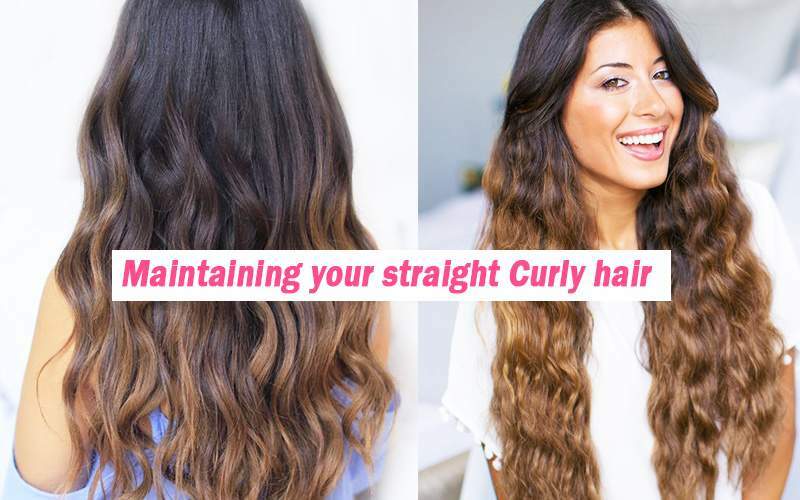 Read Also: How to make curly hair without curling iron – 11 most popular tips. And there you have it girls– everything you need to know in order to get your hair nice and straight. Just follow all the steps properly, and you will have exactly the kind of hairstyle you want. Remember – straightening out your hair is not as simple as just getting a hot iron and going to town on it. You need to work hard, you need to think things through, or else you’re going to end up with damaged and frizzy hair.